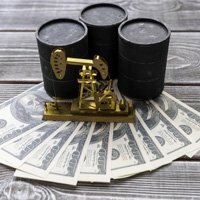 Will Oil Prices Rise in 2016? Oil prices have gone through one of the worst oil crashes in modern history. But we believe oil prices will more than double their current value by 2017. Oil prices are down 46.6% over the last year thanks to the global supply glut. But Money Morning Global Energy Strategist Dr. Kent Moors says prices will stabilize in 2016. The price of crude oil fell to $26.50 today as investors remained focused on the larger global supply glut. But the price of crude oil is much higher than what you’ve been told. Oil prices tumbled below the $30 mark today after a bearish IEA report sent investors running for the hills. But there's one crucial reason why crude oil is staging a rebound. The biggest question on every investor's mind right now is, "Will oil prices rise in 2016?" That's because oil prices are having their biggest impact on the broader market in nearly three decades. The most valuable - and secretive - company in the world is considering going public. According to The Economist, a Saudi Aramco IPO is being considered by the Saudi Arabian government.